This photo shows the plastic bag filled with trash picked up by Frank Schuengel. 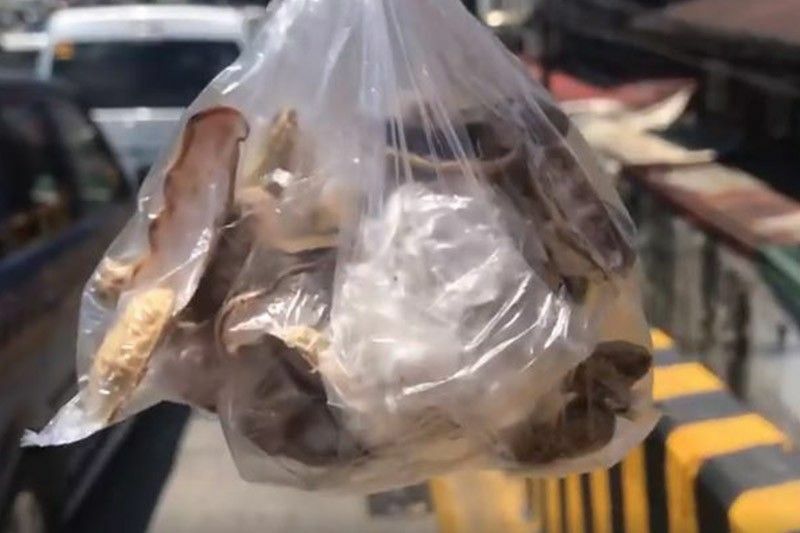 MANILA, Philippines — A waste and pollution watch group called on motorists not to throw trash on the road after a German national went after a passenger who discarded a plastic bag full of rubbish out of a vehicle’s window. In a post on Visor, a Philippine-based automotive website, e-commerce executive Frank Schuengel detailed how he—aboard a bicycle—went after a van passenger who threw a plastic bag of trash and returned it from which it came from. “As flattering as everyone’s reaction is, the pollution problem in this country won’t be solved by one bloke on a bike. It will take all of us to make a difference,” he said. This prompted EcoWaste Coalition Monday to remind road users of their responsibility to maintain the cleanliness and safety of streets and communities. “Please be considerate of other people and our common environment. Never throw waste out of vehicles,” Ochie Tolentino, EcoWaste Coalition zero waste campaigner, said. Tolentino also noted that things thrown recklessly may even reach seas and oceans, putting lives of marine animals in danger. Last March, a Cuvier’s beaked whale died of starvation and was unable to eat because of the trash filling its stomach while being stranded in Compostela Valley. The 40 kilograms of plastic trash included grocery bags and rice sacks. A study on the country’s pollution problem by the Global Alliance for Incinerator Alternatives revealed that around 59.8 billion pieces of plastic sachets are used by Filipinos a year. The report also showed that more than 17 billion shopping bags are used across the Philippines every year. The use of smaller, thinner and often transparent plastic bags is at 16.5 billion.